Designed and built right here in Australia, The Humma 35T pick and carry is a class above its competitors as it offers many outstanding attributes that many pick and carry cranes do not. Its adjustable airbag suspension system and vibration-insolated cabin allows for a smooth travelling speed of up to 90km. The fully powered four-section boom to 20.5m enables a hook weight of 19 metres which is accompanied with a custom made Rhino hook carrying a maximum load of 20T. Unlike the MAC25, The Humma 35T is a bigger crane with a bigger lift chart, enabling it to outperform its competitors with ease across various industry sectors. With greater versatility and efficiency, many industry experts are unaware the Humma 35T boasts 2m longer powered boom than the MAC25, therefor allowing us to give greater and more flexible options for our clients and not to mention the financial savings gained when using a pick and carry crane, compared to that of a slewing crane. 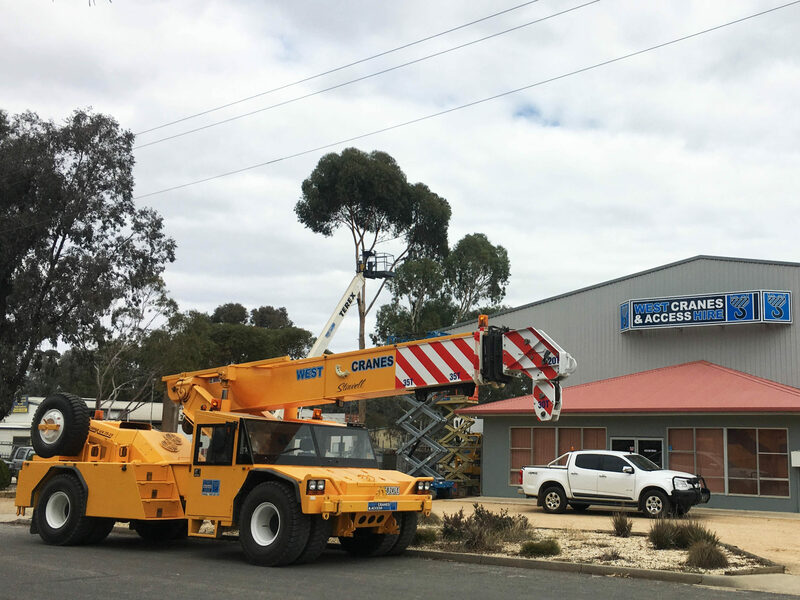 West Cranes & Access Hire will continue to build its relationship with Humma, (as there is exciting news to come from the manufacture in the coming months). to provide the best possible products and services for our clients throughout Australia.